Welcome to this beautiful Spring Mountain Ranch home. Spring Mountain Ranch is a master planned community nestled in the Northwest corner of the Las Vegas valley. Fifteen acres of parks and trails create the perfect setting for your new home. Nearby recreation and activities include golf, state parks, and skiing. Open concept floor plan flows perfectly creating comfortable living. Kitchen boasts granite flooring, breakfast bar, island, top tier stainless steel appliances, and opens to the living space as well as the covered patio for relaxing outdoor living. Second floor consists of 3 bedrooms with walk in closets and a 300 square foot loft perfect as a game room, office, family room, or the room of your dreams. The master suite is spacious and includes dual vanities, garden tub, step in shower, and closet built ins. Enjoy the mountain views with the Fabulous Las Vegas Strip in the distance from the master suite and loft. Tasteful decor and upgrades throughout include two tone paints, granite flooring, ceiling fans, alarm, water softener, and programmable thermostats. The fully landscaped lot features RV parking with gate, covered patio, garden area, and dog run. This is an excellent opportunity to own a wonderful home in a desirable community. If you are thinking of buying or selling Las Vegas or Henderson real estate, please contact Team Carver. Team Carver is very experienced with Las Vegas and Henderson real estate and has an extensive portfolio of successful closings. If you’re considering selling your home, please contact us for a free consultation. Team Carver will provide you with an up to date market summary so you know exactly what you home is worth. Once the value is determined we will the help you decide the selling process that better fits your needs. Team Carver will help you achieve your Real Estate goals no matter the situation. Team Carver can be contacted at 702-436-3615 or sold@teamcarver.com. Please visit our website at www.teamcarver.com. Welcome to this beautiful Lennar home situated on a premium cul de sac lot in a perfect neighborhood conveniently located in close proximity to highly rated schools, fabulous dining, and wonderful shopping. This Macchiato model is a two story plan consisting of 3420 square feet of living space including five bedrooms plus a loft and den as well as two laundry rooms. You will feel the luxury as you step through the gated flagstone courtyard and approach the leaded glass entry door. Once inside, the Jubilee mosaic medallion sets the tone for this luxury residence. The kitchen flows seamlessly opening to the living and dining areas creating a wonderful space suiting many needs. There is a den/nook area overlooking the courtyard set just off the kitchen. The gorgeous breakfast bar kitchen is complemented with Espresso cabinetry, Caledonia granite, under mount sink, stainless steel GE Profile appliance package, and plenty of recessed lighting. Set at the rear of the home, the inviting living and dining area flows nicely to the patio and features surround sound wiring and a magnificent fireplace surrounded with natural split cut stone. Dual master suites are possible with the main master suite nestled on the first floor offering a relaxing setting including spa like bathroom with dual raised vanities, second laundry, and generously sized walk in closet. Espresso wood staircase leads to the second floor. The 375 square foot loft is well suited as a second family room, game room, media room, office, fitness room, or the room of your dreams. You will also find four bedrooms on the second floor, two of them with en-suite bathrooms and one with a walk in closet. There is also a bedroom with dual closets. This residence is truly well appointed with additional upgrades including 24 inch stone pattern tile laid on the offset, hand finished textured walls, two tone paints, seven ceiling fans, hygienic Luxe Bidets, and raised panel doors. Built in 2011, this home features advanced technology systems. Remotely control the lighting and climate using the Nexia Home Intelligence system. Home security system offers camera and video capabilities. Energy Star home is highly energy efficient. At 7841 square feet this above average sized lot offers plenty of space for a sparking pool and spa. The well balanced private yard is meticulously landscaped with mature trees including fruits such as apple, peach, almond, persimmons, and pomegranate as well as four season flowers, pretty colors, and calming shade. The landscape also has electrical outlets conveniently placed. This peaceful yard is competed with alumawood covered patio with misters, and gas stub as well as a freestanding gazebo. Welcome to this beautiful home situated in the 55+ Los Prados village of Cedar point. The Los Prados community consists of 1358 homes and surrounds the Los Prados Golf Course. The 6000 yard golf course plays to par 70 and is known as a challenging course due to the narrow fairways and fast greens. Of course, there are many amenities found in this premier community. Enjoy golf, tennis, swimming, spa, library, recreation, as well as fine dining in the Restaurant at Los Prados. You can also unwind at the 19th Hole Lounge. Banquet space is available for your special events and offers a gorgeous setting overlooking the golf course with amazing views of the Las Vegas Strip. This well cared for home has been updated with fine finishes. Pride of ownership is prevalent throughout. Notice the inviting curb appeal as you approach this home and make note that the landscape is conveniently maintained by the Cedar Point association. Enter through the iron screen door and fall in love with the stylish decor. Warm wood tone tile flows through the living areas, kitchen, and hall. Bedrooms floors are finished with plush carpeting and pad. New kitchen features top end custom cabinetry, granite counters, natural stone backsplash, and quality appliance package including a Bosch dishwasher. Master suite is perfect with a large walk in closet and the en-suite bathroom boasts a tub as well as a step in shower. Guest bedrooms are nicely appointed, the larger of the two features shelves. Fabulous guest bath is treated with tile wainscoting. Two tone paints and designer treatments adorn the walls adding to the custom feel. Windows are dressed using high quality blinds in addition to custom draperies. Lattice covered patio is set to the rear and accessed via a french door. The patio and front porch concrete have been treated with a beautiful decorator treatment. The two bay garage is complimented by a finished floor, storage cabinets, and side service door. Home is clean and ready for you and offers the un-paralleled Los Prados lifestyle. 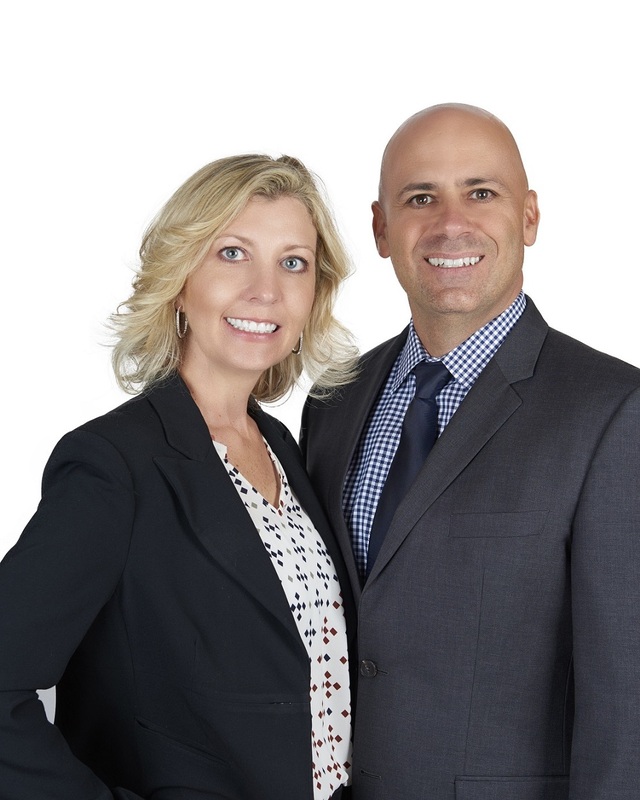 Team Carver is very experienced with Las Vegas and Henderson real estate and has an extensive portfolio of successful Las Vegas and Henderson real estate closings. If you’re considering selling a home please contact us for a private consultation. Team Carver will provide you with a market summary and has the knowledge and expertise to guide you through the process of selling a home. Let Team Carver will help you achieve your Real Estate goals no matter the situation. Welcome to this wonderful home situated on an expansive cul-de-sac lot. Curb appeal is complimented by the easy care landscape as well as the paver stones and brick accents. The rear yard offers ample space to meet many needs. Feel the comfort and style this home has to offer as you step through the real wood front door. Notice the volume ceilings, decorator two tone paints with upgraded base boards, and hardwood laminate floors. The brick fireplace is a focal point and adds to the inviting feel and warmth of this spectacular home. This 1276 square foot home has two large bedrooms with the master suite boasting a walk in closet and super clean re-grouted master bathroom. Gorgeous kitchen features Frigidaire Gallery stainless steel range and Whirlpool stainless steel microwave, both are less than one year old. French door from kitchen leads to the outdoor living with alumawood covered patio. Home has been well cared for and shows pride of ownership. Numerous upgrades and updates have been completed with attention to detail including upgraded fixtures, appliances, new laundry doors, and detailed grout cleaning. This wonderful turnkey opportunity is clean and ready for you. Welcome home. This wonderful home features freshly painted exterior complimenting the beautiful curb appeal. At 1889 square feet this spacious floor plan flows well throughout the home and offers an open comfortable feeling. The four bedrooms are situated on the second floor. Master suite boasts dual vanity and walk in closet. Beautiful breakfast bar kitchen overlooks dining area and patio as well as the mature landscape. The dining area opens nicely to the living and family rooms. Family room includes a focal point fireplace. There is an expanded laundry and utility room adding a walk in pantry as well as desk and extra cabinets. The oversized two car garage offers extra room and storage space. Additional upgrades include tile floors with deco insert at entry, two tone paints, banister, tile counters, and new exterior paint. Check out what happens when cabinetry fails. The cabinet company that installed the cabinets in this home went out of business. Wonder why? Faulty craftsmanship can lead to many problems in a home. This homeowner is now left with an expensive repair. If you’re looking to buy a home, we can help you find the perfect dream home. Our experienced buyer representatives are here to help you. If you’re considering selling your home, please contact us for a free consultation. Team Carver will provide you with an up to date market summary so you know exactly what you home is worth. Once the value is determined we will the help you decide the selling process that better fits your needs. Team Carver will help you achieve your Real Estate goals no matter the situation. Team Carver can be contacted at 702-436-3615 or sold@teamcarver.com. Please visit our website at www.teamcarver.com. Welcome to this beautiful one owner town home nestled within the desirable gated lifestyle community of Tapatio. Tapatio is a premier gated community situated in the Green Valley master plan of Henderson Nevada and features a sparkling pool, relaxing spa, and fitness center. There are parks and walking trails in close proximity and this perfect location is just minutes away from the Fabulous Las Vegas Strip known for world class entertainment, dining, and shopping. This one owner home was used as a second home and is barely lived in. The popular two bedrooms plus den floor plan flows well and offers many possibilities. The den could be a third bedroom, family room, game room, office or anything you need it to be. Volume ceilings add to the open airy feeling of this home. Wonderful kitchen boasts a breakfast bar and includes appliances. The kitchen opens nicely to the living area featuring a two way fireplace focal point shared with the den. Master suite is well appointed with mirror closet doors and walk in shower with easy clean surround, rain glass, and adjustable shower head. Secondary bedroom comprised of a custom built in Murphy bed, desk, and shelves. This upgraded home is finished using the finest, such as custom designer faux and two tone paints. Wood laminate and tile flooring add to the beauty and durability. Window coverings include two custom made decorator glass treatments and solar screens. Additional upgrades and extras include Freise no salt water treatment system, garage attic storage ladder door, and a putting green. This home is being offered turnkey and fully furnished and is clean and ready for you. Watch the Sun City Anthem video. Sun City Anthem is a fifty-five plus age restricted community featuring luxury residences and an amazing lifestyle. Perched high in the Black Mountains of Henderson, Sun City Anthem offers some of the best views of the Fabulous Las Vegas Strip. This perfect location is moments away from the world class dining, shopping, and entertainment of the Las Vegas Strip. Sun City Anthem is comprised of wonderful community centers offering golf, swimming, tennis, fitness, bocce ball, arts, crafts, and much more. There are also many events and activities appealing to everyone as well as a state of the art day spa called Serenity at Anthem Day Spa. There is a Black Mountain Trail Head nestled with in Sun City Anthem allowing easy access for exceptional hiking and exploring of the mountains. Single story floor plans featuring great layouts are available throughout this beautiful community. Sun City Anthem homes are quality built by Pulte and Del Webb. Many homes are highly upgraded with the finest materials and craftsmanship and boast amazing views of the Las Vegas valley and surrounding mountains. Visit the Sun City Anthem website for more information. If you are interested in a tour of Sun City Anthem, please contact us. Team Carver is very experienced with Las Vegas and Henderson luxury real estate especially in Sun City Anthem and has an extensive portfolio of successful Las Vegas and Henderson luxury real estate closings. If you’re considering selling a luxury home in Sun City Anthem, please contact us for a private consultation. Team Carver will provide you with a luxury market summary and has the knowledge and expertise to guide you through the process of selling a luxury home in Sun City Anthem. Let Team Carver will help you achieve your Real Estate goals no matter the situation. Contact Team Carver at 702-436-3615 or visit www.teamcarver.com. When showing homes our agents occasionally come by some unique features and amenities. Recently Stefani Jablonski of Team Carver was showing luxury properties to prospective buyers. One home Stefanie showed had a salon station situated in the laundry room. Having a salon station in the laundry could be a dream for a hairdresser. They could style hair while doing the laundry. Now that’s a win-win. Think about it, what type of nontraditional feature or amenity would you put in your home if you could? If you’re looking for a home with specific amenities give us a call. We can help you find the perfect dream home. Our experienced buyer representatives are here to help you. If you’re considering selling your home, please contact us for a free consultation. Team Carver will provide you with an up to date market summary so you know exactly what you home is worth. Once the value is determined we will the help you decide the selling process that better fits your needs. Team Carver will help you achieve your Real Estate goals no matter the situation. Team Carver can be contacted at 702-436-3615 or sold@teamcarver.com. Please visit our website at www.teamcarver.com. Welcome to this beautiful home situated in the premier community of Coventry at Anthem. This wonderful community is comprised of parks, trails, and majestic scenery including the best views of the Fabulous Las Vegas Strip as well as the surrounding mountains. Your new home sits on an expansive cul-de-sac lot at just over a quarter acre and is complimented by a sparkling pool with wet deck, covered patio with power sun shade, and a balcony offering amazing views of the Las Vegas Strip. Gorgeous curb appeal features mature landscaping, treated walkway, and brick accents. Step through the leaded glass entry door and take notice of the bright and open feeling of the volume ceilings and dual staircase with upgraded railings. On the first floor you will find spacious living areas and a den as well as a guest suite with en-suite bathroom. Warm hardwood floors run throughout the first floor. Family room and kitchen flow together creating a comfortable space for relaxing or entertaining. Kitchen is adorned with granite counters including a breakfast bar island and built in appliances. Stunning dual staircase leads to the second floor which is made up of the master suite with spa bath and two other bedrooms with a jack and jill bathroom. The master suite balcony with Strip view looks out over the beautiful pool and landscaped grounds. This spectacular home is very well appointed featuring fine decor finishes and numerous upgrades such as granite counters, hardwoods, tile, two tone paints, ceiling fans, and plantation shutters. Additional features include laundry room cabinets, under stair storage, second floor linen cabinet, family room fireplace with granite surround, patio ceiling fan, and removable pool fence. Team Carver is very experienced with Las Vegas and Henderson luxury real estate especially in Coventry at Anthem and has an extensive portfolio of successful Las Vegas and Henderson luxury real estate closings. If you’re considering selling a luxury home in Coventry at Anthem, please contact us for a private consultation. Team Carver will provide you with a luxury market summary and has the knowledge and expertise to guide you through the process of selling a luxury home in Coventry at Anthem. Let Team Carver will help you achieve your Real Estate goals no matter the situation.